14 QuiBids employees took to Interstate Highway 44 for a mini-roadtrip last week, to collect an honor given by the Oklahoma City newspaper The Journal Record, which covers business, government, and legal news statewide. 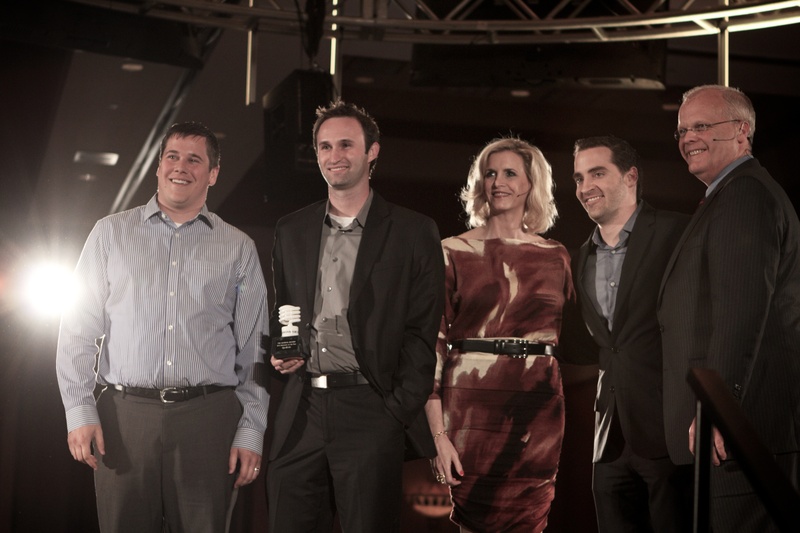 Click here to view the Innovator of the Year Press Release. 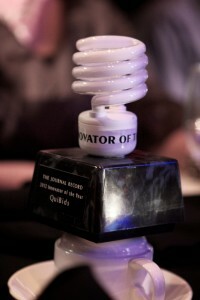 Three members of our executive board — Chief Technology Officer Shaun Tilford, Chief Operations Officer Josh Duty, and Chief Executive Officer Matt Beckham — accepted one of the Journal Record’s Innovator of the Year awards, alongside several other standout Oklahoma businesses, non-profits, and individuals. We’re all still excited and honored, and couldn’t be happier to have been included with this incredible group of people! Thanks so much to the Journal Record and its publisher, Mary Mélon, who ran the evening’s festivities, which one of our customer support managers, Erik Gause, captured on film. Er, pixels, rather. 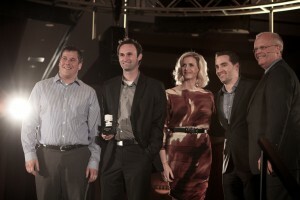 Above Josh, Shaun and Matt accept the Innovator of the Year award. 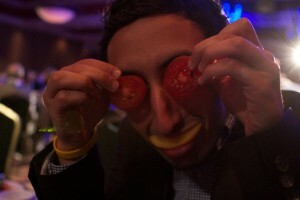 Above Nader Nasser, one of our compliance managers, plays with his food. Which was delicious, we might add. 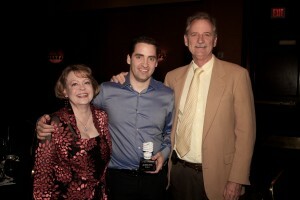 Above Matt, our awesome CEO, with his parents!